Most of us probably want to wear a quiet helmet, but finding one isn’t that easy (which is actually one of the reasons I set up this website in the first place!). 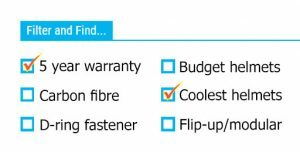 You can try and go on what the manufacturers say – but that often turns out to be BS. You can look at the helmet specs – stuff like nice and thick comfort liners and smooth aero design. But again, that’s often misleading. Ultimately, you can visit our quietest helmet review pages – and probably buy some of our best buy ear plugs to wear with it. But read on for how we rate our helmets for quietness, and other things to consider when you’re looking to buy a quiet motorcycle helmet. So how do you find a nice quiet helmet? You’d probably think that the best way of finding out which helmets are quiet and which are noisy would be to ask owners. Which is entirely right and exactly what we do at Billy’s Crash Helmets of course – because we take as many people’s views as possible and, where we can, work out which are the noisy and which are the quiet helmets. The only problem with that is it’s amazing how many people find the same helmet massively different when it comes to assessing helmet noise. 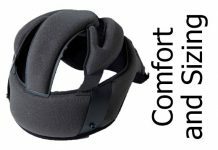 All too often we find one person’s noisiest helmet in the whole world ever is the next person’s whisper-quiet dream helmet. Which, if you’re looking for a new, quiet helmet – doesn’t really help. Why do opinions vary soooo much? If you ride a Goldwing with a massive screen up front, you’re probably going to – broadly – find a helmet quieter than someone on a naked. 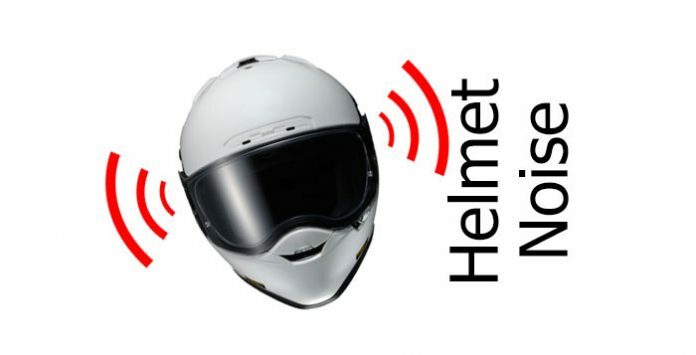 Stands to reason; when there’s less wind blast on the helmet, then it’s going to create less noise for the rider. Only, that’s not the entire story because some screens can do strange things to air flow; blasting air at different points of the helmet (if the rider’s taller or smaller) or even directing air towards the rear of the helmet through weird turbulence shenanegans. Plus, some helmets are actually designed to work better in the wind flow (which the designers can simulate in the wind tunnel and therefore design-around) so they may well work better on a naked than a fully faired touring bike. If you ride upright or tucked in, then different helmets will react differently to the windflow. And some are designed for use on sportsbikes so have better aero when in a racing tuck. Conversely, street helmets are more geared towards a more upright riding position so their aero is designed to work better with the chin-up rather than head-down. Ride your naked street bike with a sportsbike helmet and it’ll attack the air at a different angle than it was designed for, create more turbulence, and probably end up noisier as a result. Obv one this so doesn’t need much explaining. 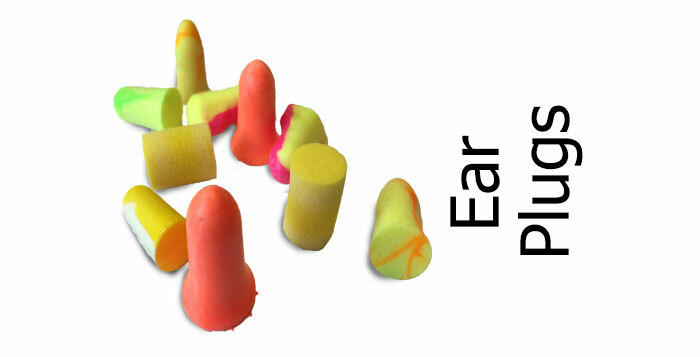 Younger hearing = more sensitive hearing = noisier helmet. Older person’s hearing = less sensitive = quieter helmet. So a young person saying it’s a noisy helmet might not equate to an older person feeling the same way about it. If the last helmet you owned happened to be massively well sound-insulated and you change to a new one that’s less so, you might well shout from the rooftops that you’d rather put your head in a tumble dryer than wear your new lid. When in actual fact, in the overall scheme of things, it’s a pretty quiet helmet. But if you’re used to riding around ton-up in an open face helmet then stick on a pretty poor £10 helmet from Asda, it might feel like the last word in serenity. So opinions are ALWAYS coloured by what you’ve worn before. How often have you gone to watch a film that your mate’s been banging on about for the last week at work – only to find it’s another Boys in Blue? Well, if we hype up a helmet as being like wearing an isolation tank on your head, chances are you’ll be disappointed when you take your new helmet on its first ride. Matching – or beating – expectations, is often very tricky. So try and manage your own expectations. Helmets operate in a pretty hostile and noisy environment, so if you’re expecting silence, that’s probably not realistic and you’ll be disappointed. Obviously, some helmets are better designed, sleeker, with better sound insulation and with less bits projecting up into the air flow and fewer vent holes to conduct sound into your lug holes than others. Not all helmets are created equal. And while some folks will still say they’d be better off riding with a paper bag on their heads for all the sound attenuation their helmet offers, we look for a helmets with a very high proportion of owners who comment that their helmet is nice and quiet before we award a helmet with a place on our Quietest Helmets Pages. 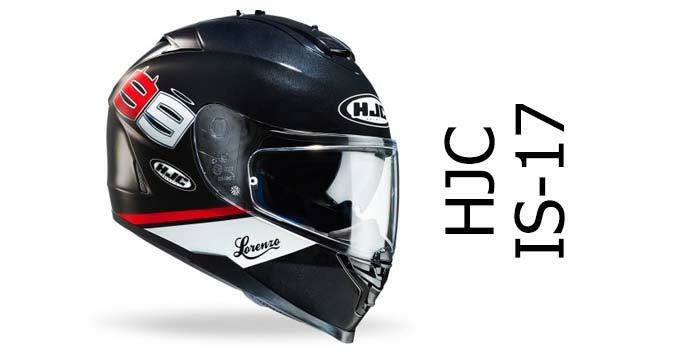 But if you’re just scouring websites looking for a new helmet, it’s not easy to spot this sort of helmet from just looking at it, because it’s usually not obvious from the specs or from the look of a helmet which are going to perform best. They just are – probably to do with the chin guard gubbins meaning less padding around the ears. So, how do you work out the quietest helmets? When we’re reviewing a helmet, we get as many owner’s opinions on the noise levels of a helmet as possible. And only where the vast majority are positive will we add it to our quietest helmets pages. If it’s a 50/50 split or mixed review, it’ll never make it in. 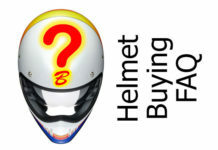 Which is not to say that if you bought that helmet, you’ll not find it acceptably quiet – for all the reasons listed above. But hopefully if you buy one of our quietest helmets, then you’ll stand the highest chance of getting a helmet that’ll work for you. Oh, and of course, if a helmet is goddawful noisy, we’ll always put that in the review too. 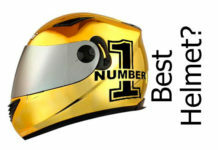 Which is the Best Motorbike Helmet to Buy?